Registration for the 2018 USO-Metro Holiday Programs has Officially Closed! Each holiday season, USO-Metro has the privilege of delivering warmth and festivity to our troops and their families on behalf of the American people. This goodness is donated, packed and delivered with love and gratitude. It comes in the form of food to fill a table surrounded by family and friends, hand-picked gifts for tiny hands to open and spaces to help bridge the distance. Every Holiday Season, USO-Metro is honored to say “Thank you!” to local military families by providing 500 holiday food baskets to junior enlisted service members! Please note, grocery store gift cards may also be distributed in lieu of baskets. Registration for Turkeys for Troops 2018 has officially closed! Winners will be notified throughout the day on Friday, November 2nd! Thank you to our 2018 Turkeys for Troops Sponsors: Leidos & Guidehouse. USO-Metro annually offers a very special holiday event for active duty E1 through E6 military families! 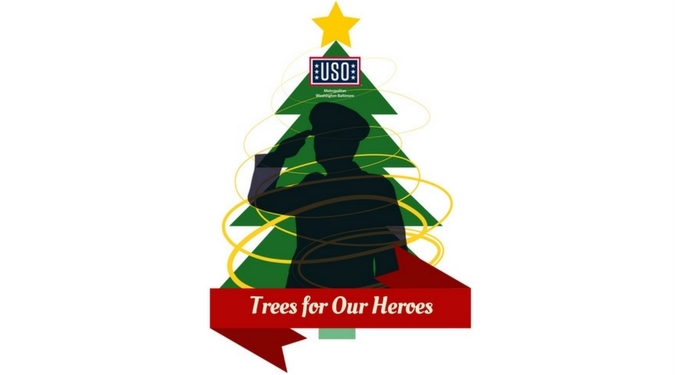 Trees for Our Heroes is a special day for military families to experience one of the timeless traditions of the holiday season at a local Christmas Tree Farm. In appreciation of your service, families can spend the day selecting a Christmas tree for their home, creating seasonal arts and crafts, snapping pictures with Santa, and enjoying holiday fellowship. Registration for Trees for our Heroes 2018 has officially closed! Winners will be notified throughout the day on Friday, November 2nd! Thank you to our 2018 Trees for Our Heroes Sponsor: BAE Systems. 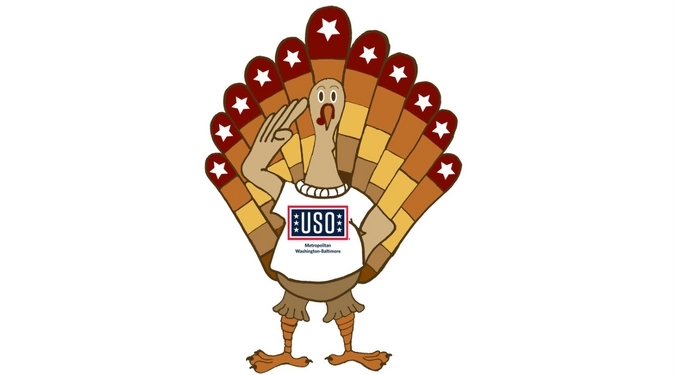 Project USO Elf is a signature USO-Metro program through which companies, organizations, families, and the community-at-large register to “sponsor” our youngest patriots by selecting and providing gifts selected from a custom wishlist! Register your child(ren) ages 1-15 to make their holiday wish lists come true! Children will receive age-appropriate gifts personally selected by their Wish List Donor. It’s very important that our 2018 Project USO Elf participants fill out the following forms correctly in order for our staff to effectively match each individual registering. Our registration lists will be divided by the number of children you are registering for. Please only fill out ONE of the following forms below. Once registration closes, ONLY selected participants will be emailed on November 2nd to notify that you’ve been accepted as a participant. Thank you for your interest in our Holiday Programs, and we look forward to working with our entire military community in the season of giving! Registration for Project USO Elf 2018 has officially closed! Winners will be notified throughout the day on Friday, November 2nd! Thank you to our 2018 Project USO Elf Sponsors: BAE Systems, General Dynamics IT, Leidos, & SAIC. Please direct questions to holidayprograms@usometro.org.